Kelly Klein watches as the Women of Honor compete in a tag match. Madison Rayne takes on Deonna Purrazzo in a good edition of Women of Honor Wednesday. Brandi Rhodes and Stella Grey compete for a spot in the Women of Honor Title Tournament. Deonna Purrazzo and Karen Q attempt to settle their differences in a No DQ match. Gabby Ortiz faces Jessie Brooks for the opportunity to compete in the Women of Honor Title Tournament! This week’s episode focuses on Sumie Sakai and her recent trip to Japan. 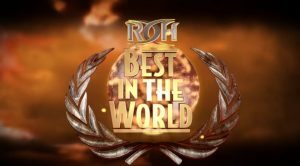 Ian Riccaboni gives an update on the current state of Women of Honor. Tasha Steelz and Jessie Brooks take on Sumie Sakai and the debuting Gabby Ortiz in a nice tag team match. Ian Riccaboni gives an update on WOH and Kelly Klein makes a statement at the expense of Jynx. 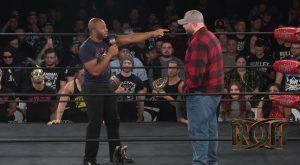 This week’s episode of ROH TV is a series of clips from some of the matches that took place at Honor Rising in Japan this past February.